An Intro to Ere Perez Makeup. I was recently introduced to the Ere Perez makeup range thanks to Naturisimo now stocking it, and they kindly sent me over a couple of pieces to try. With a mid-range price point (ranging from £13-£24) Ere Perez isn't going to break the bank but it has a cost that means you're hopefully getting something that's high quality. I was sent a highlighter, mascara and powder blush, and after wearing them a few times I've got the low-down on what you need asap, and what you don't. 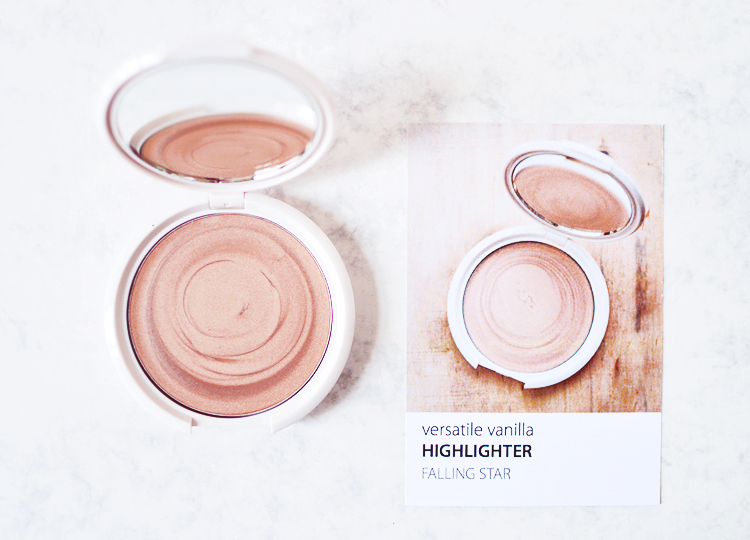 Starting with my favourite, the Versatile Vanilla Highlighter in the shade Falling Star (£17), this creamy highlighter was an instant winner for me, as you can see, it's rose gold! A possible dupe for the RMS Master Mixer? It's quite difficult to describe the colour is real life, I did try very hard to photograph it but I wasn't happy with the outcome, the colour is a pinky golden silver, it's warm toned but when it catches the light it does glimmer a little silvery. Very, very pretty. The formula is easy to use, it's very creamy and has a great pigment payoff when tapped onto cheekbones, browbone and cupids bow, etc. 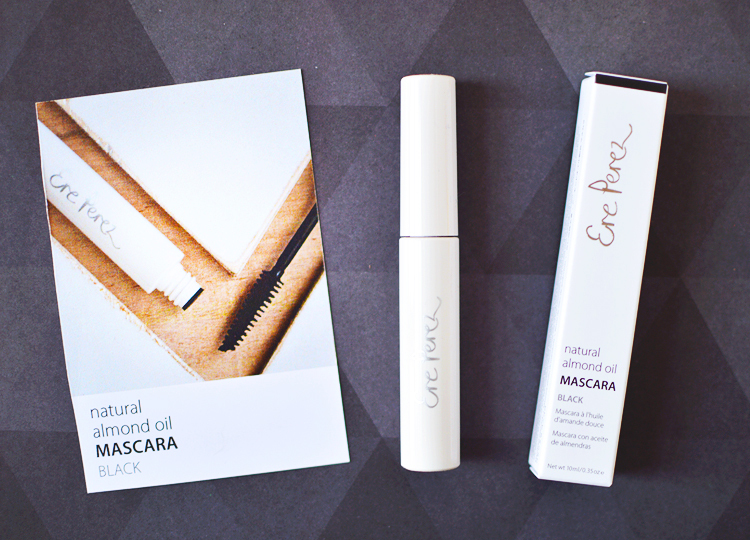 The Natural Almond Oil Mascara (£16.50) is a simple, black mascara. It isn't going to knock your socks off with incredible length and volume but it does give the pretty, natural lash effect. It's best quality is that it doesn't smudge or flake at all, it's long wearing and doesn't irritate - you can't even tell it's there to be honest. It does clump the lashes together a little, especially if you apply more than one coat but a quick brush through can sort that. They also have a volumising waterproof formula that sounds interesting, which perhaps would be better if you're looking for something with more wow-factor. 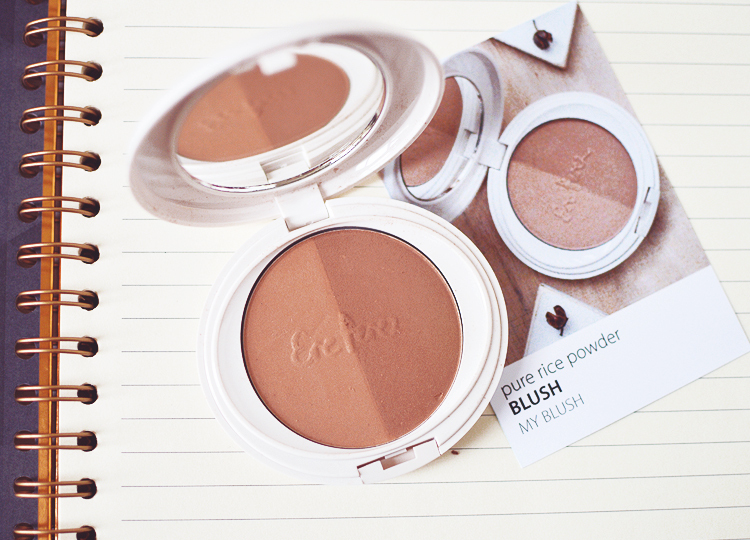 Lastly we have the Pure Rice Powder Blush (£20) in the shade My Blush, a neutral colour described as "a neutral soft tan". I've been using this as a bronzer to warm up my complexion more than a blush, though it also looks nice dusted on the cheeks, too. This isn't the most pigmented blusher but actually that makes it perfect for me, it's hard to be heavy handed here and end up looking more tango-luxe than tan. I use a fluffy brush to apply the powder wherever the sun would naturally hit and hel-lo have I just got back off of holiday? I actually look alive! Is this what bronzer is always like? Because if so I should apply it way more often. 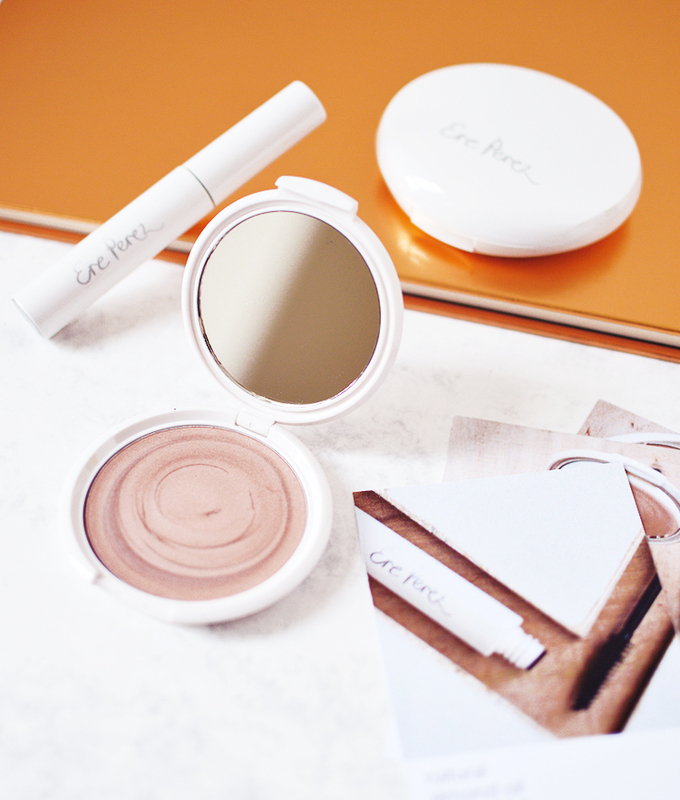 All in all, I am quite impressed with Ere Perez, they have a lovely natural approach to makeup, nothing in your face, no bright colours, it's all about perfecting and enhancing your already beautiful self. The plastic packaging is slightly flimsy and bulky, but because it's all white it redeems itself by looking a little more luxe than it is. TL;DR? Get that highlighter in your basket immediately.